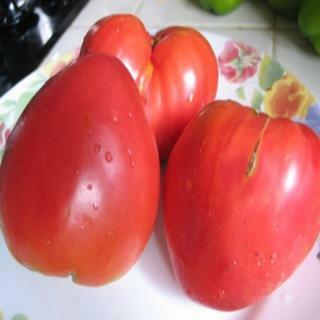 Yasha Yugoslavian is a delicious deep pink oxheart tomato with wonderful flavor that that rivals Hungarian Heart Shaped with it's productivity. Heirloom Seed Packet. I know I have stated many times that the oxheart types are usually my favorites. I find the flavor to be more intense and I love the dense meaty flesh and lack of seeds. Yasha is a delicious deep pink oxheart tomato with wonderful flavor that that rivals Hungarian Heart Shaped with it's productivity. I am very happy to add it to this year's selections.